If you are interested in private one-on-one training, your journey starts here. We begin with a consultation, which takes place in your home or at our Plainfield facility and lasts up to 2 hours. We address three important topics: why your dog is misbehaving, how you may be unknowingly contributing and what you can do RIGHT NOW to begin to see a change in these behaviors. We will work with your dog at this time and SHOW you that with motivation, clarity and consistency you CAN change behavior. The only path to change is through change. We will give you an accurate and fair recommendation regarding which program best suits your needs. This is not a sales pitch; this is education that begins your journey to change. The initial consultation costs $125. If you choose to purchase a lesson package, the $125 is credited toward the price of your package. If not, you simply pay for the consultation as a stand-alone service – there is no obligation. Contact us today! If your puppy is between 8-14 weeks of age, this is the program for you! We use reward-based methods in this critical learning period to teach your puppy important manners and life skills. 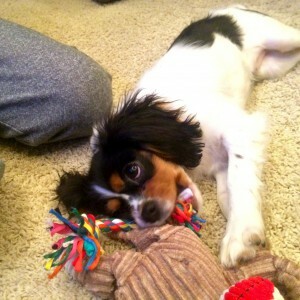 Early training builds the healthy foundation your puppy needs to live successfully in your home. Contact us today! 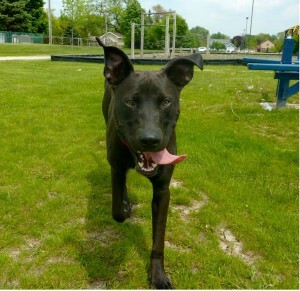 If your dog does any of the following, this program may be right for you: doesn’t know simple commands, won’t come back when called, doesn’t respond to their name, pulls on the leash, jumps on visitors, bolts out the door, begs for food, doesn’t know how to relax around the house, lacks a reliable sit/down/stay. Having a dog without Manners or Basic Obedience skills can be extremely frustrating. Here’s a dirty secret: Most often we find the dogs don’t even know what they are doing is wrong! They may even think they are playing. Have you ever shown them how to do things correctly in a way they understand? Probably not. 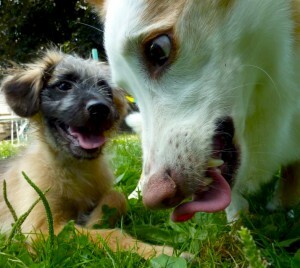 We will teach YOU how to teach your dog new obedience and life skills all while eliminating bad manners. 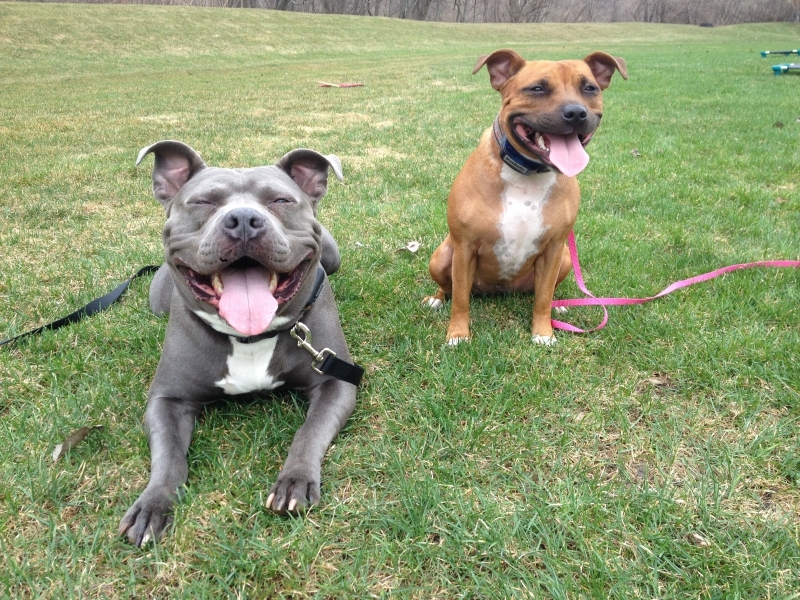 We will also focus on solid leash skills that make walking your pup a breeze. You will learn how to apply training in your own home, in real time, as distractions happen. A trained dog will add to the happiness in your life! We promise! Suddenly having them around makes life more enjoyable, peaceful and fun. Contact us today! 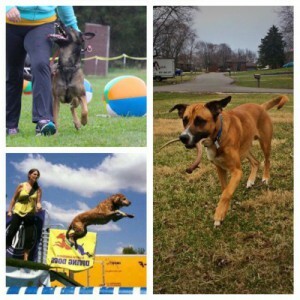 So you’ve always wanted an impressively trained dog you can bring anywhere and be proud of at home and out in public? Or maybe you are interested in your dog having Off-Leash freedom? Either way, this is the program for you! Real World Obedience goes beyond our Obedience Skill & Manners program. Our goal here is to achieve solid Obedience that holds up to a wide variety of distractions at home as well as in public. 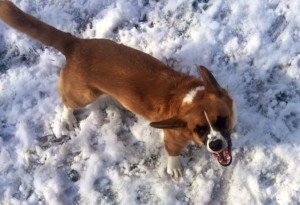 If you choose to go the Off-Leash route, we eventually incorporate the use of a remote collar. This training begins in your home and the progresses to public locations including, but not limited to: parks, pet stores, forest preserves, farmers markets, car shows. Contact us today! If your dog displays any of the following, he/she requires Behavior Modification: Separation Anxiety, Incessant Barking, Lunging, Aggression, Fearfulness, Excessive Anxiety, Human Reactivity, Dog Reactivity, Pica (swallowing inedible objects), Guarding Food/Objects. The goal with Behavior Modification is to replace undesirable learned patterns with new healthier ones. First, we will teach and reinforce the new behaviors desired. Next, we will focus on fairly correcting the unsavory behaviors and replacing them with our new skills. During the process, we will also place weight on showing you how to fulfill the individual needs that are characteristic of your dog’s breed and energy level. All too often, these needs going unmet are what caused the dog to have negative behaviors in the first place. This unique program works at the individual pace of each dog’s abilities and promotes trust and confidence between the dog and their handler. Contact us today! Want to get a jump start on your training with a total immersion program? 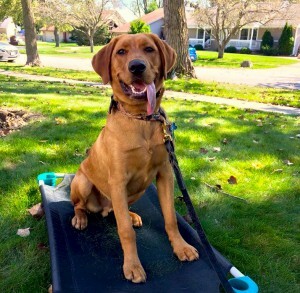 Our Board & Train allows your dog the opportunity to live with a trainer and receive daily professional work in the trainer’s home as well as brought into our Plainfield Facility. 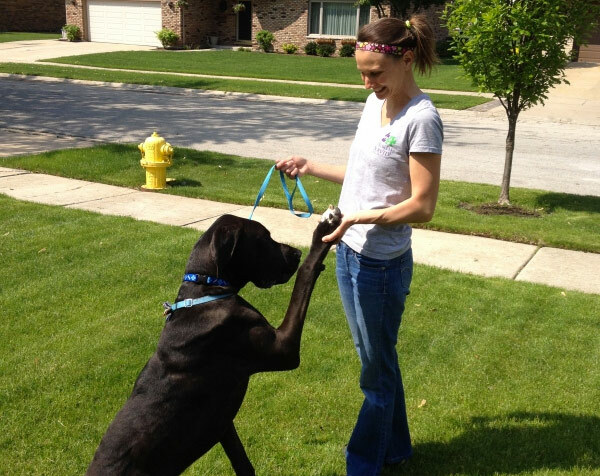 The trainer and client set goals to be worked on during the dog’s stay. We keep the client up-to-date with the dog’s progress with daily pictures and video. The length and price of this program is dependent on your dog’s issues and your training goals. Dogs must be comfortable in a crate and mostly housebroken to be considered for our Board & Train program. For your convenience, we do offer a pick-up and drop-off service. Contact Us For a Price Quote today! Do you have a high drive, high energy dog? Are you having difficulty fulfilling your dog’s needs for activity and exercise? Perhaps you’ve tried to tire your dog out using lots of exercise, only to have them continue bouncing off the walls. At Problem Solved, our goal is not to suppress your dog’s drive, but to find positive ways to express it. I will show you how to play games that motivate your dog to WORK, using their body AND their brain. We teach self control during high energy work so that your dog learns to have an off switch. Contact us today and learn the value of drive development and fulfillment! Let’s play! Want to teach your dog to shake, roll over, and bring you a drink from the fridge? This is the class for you. Your pup loves to learn – even old dogs can learn new tricks. In this class, you will learn how to break tricks down to the step by step process and learn to build on tricks for more complex activities. By the end of this class, you and your dog will be prepared for the Novice Trick Dog Title application. 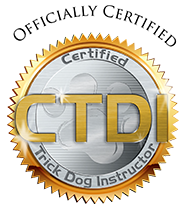 Contact us for more information on getting started with Trick training.